Venture out of the city with trips to Brisbane (South Bank Parklands, Lone Pine Koala Sanctuary, & more) and Cape Byron Lighthouse (in Byron Bay). Spend the 27th (Mon) exploring the fascinating underwater world at Sea World Theme Park. There's lots more to do: find something for the whole family at Warner Bros. Movie World, kick back and relax at Surfers Paradise Beach, cool off at Dreamworld, and get to know the resident critters at Currumbin Wildlife Sanctuary. 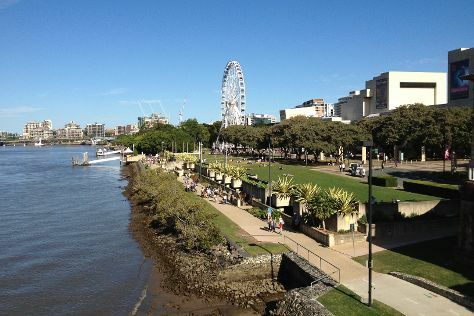 To see photos, ratings, other places to visit, and more tourist information, read Gold Coast trip itinerary planning app . If you are flying in from Malaysia, the closest major airports are Brisbane International Airport and Gold Coast Airport. In May, plan for daily highs up to 27°C, and evening lows to 15°C. Wrap up your sightseeing on the 2nd (Sun) to allow time to travel back home.